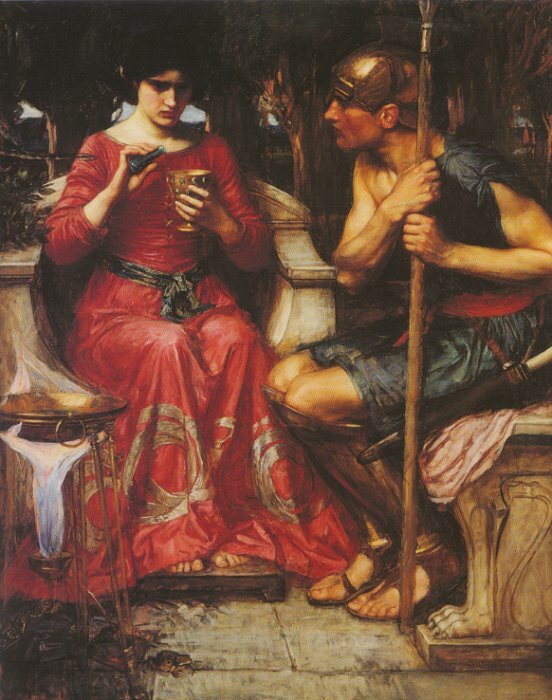 Medea was the princess of Colchis and was skilled in the magic arts. She fell in love with the Argonaut Jason when he and his crew of the Argo landed on Colchis. 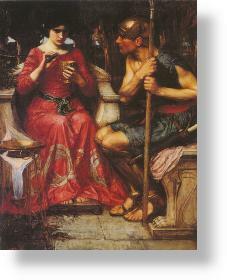 She used her magic to aid him in obtaining the Golden Fleece, the goal of the Argonauts expedition. She fled from Colchis as Jason's wife. While king Aietes, Medea's father, was in pursuit of the Argo to get his daughter back, Medea cut her brother up to pieces and cast each piece into the sea to slow the pursuers, as Aietes would have to retrieve all the pieces to give his son a proper burial. Jason later betrayed Medea by marrying a Theban princess named Glauce. Medea took a terrible revenge murdering her own children by Jason, but not before she burned Glauce alive in a poisoned wedding dress.